Tiger Woods is back for just his second PGA Tour event of the season. He’ll begin play at the Genesis Open on Thursday at Riviera Country Club in Pacific Palisades, California. Woods finished tied for 20th a few weeks ago at the Farmers Insurance Open, which was his 2019 debut. Now he’s back to contend with a field chock-full of world class players. 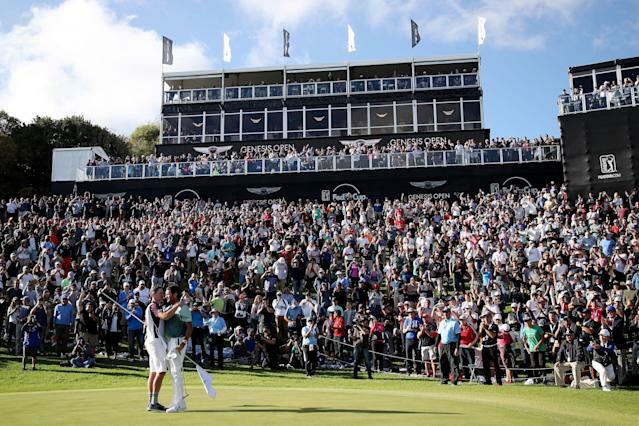 The event’s loaded field will include Phil Mickelson — fresh off a victory at the AT&T Pebble Beach Pro-Am — along with several other major winners: Jordan Spieth, Rory McIlroy, Dustin Johnson and defending champion Bubba Watson. Some coverage of the event will be available on live stream with an NBC login. Links to the streams will be posted here when available. Woods will be paired with McIlroy and young star Justin Thomas for the first two rounds while other intriguing groups include Mickelson, Spieth, Xander Schauffele as well as Watson, Johnson, Cameron Champ.